excited to see the magic of what you saw with your own eyes, re-produced on-screen. Your camera gave you a dud. The RAW file looks nothing like how you remember the scene (or even how it looks on the back of your camera)! So you know you’re going to have to re-create its beauty in post processing. But a minute or two pass and you find yourself staring at the un-edited RAW file wondering where the heck to start? So you try a few of your “go-to” technique to see what happens, but nothing seems to be working? Well – here are a few ways you can overcome that creative block in PS. 1) Have a proper pre-determined workflow. Nothing gets you moving faster than knowing exactly what to do every step of the way from start to finish. Take 10 minutes to browse some of the popular photos on your favourite photo sharing site (500px, Flickr etc) if you’re stuck finding your creative vision. Simply immersing yourself in the amazing work of other photographers can be really inspiring – and just the tiniest spark of inspiration might be all you need to get your own juices flowing. And then see if you can use that same roadmap to kick-start the editing process on your new shot. Have a chat in person or online with a fellow photographer friend. For me, just talking about photography really gets me in the mood for photography… And being “in the mood” is half the battle! Learning a new method or technique can not only be the sledgehammer that smashes your creative block, but it will keep you moving forwards too. Because if you’re not moving forwards, you’re moving backwards. The good news is that I can directly help you right now with tips number 1 and number 5 above (learning something new and having a solid workflow). 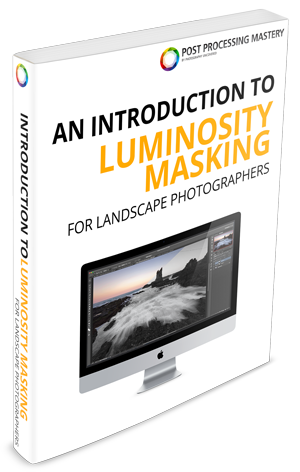 All you have to do is grab a copy of my Luminosity Masking Mastery course (plus heaps of extras) on this page now. So click here and overcome your Photoshop block for good.